Flock of european swallows resting and grooming on power lines cables, birds in groups, animal behavior, 4k uhd footage. 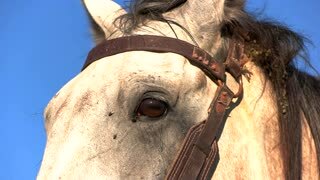 Brown horse is chewing. Animals on a meadow. Wild herd near a field. Composure and power. Head of white horse. Animal with a mane. 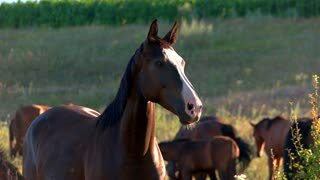 Wild look of stallion. Pride and power. Horses running on the meadow. Aerial view of hoofed animals. We are might and power. Each is his own leader. 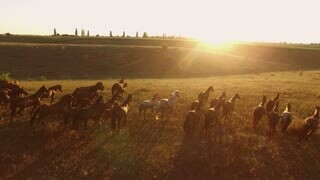 Horses are running. 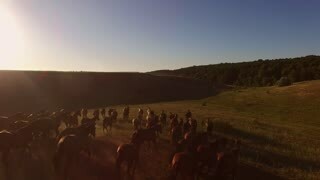 Aerial view of horse flock. Forget about the boundaries. Power and absolute freedom.